FEMA SEEKING CONTRACTORS TO SUPPLY BIOHAZARD DISPOSAL AND HOUSING UNITS WITHIN 24 HOUR NOTICE! FEMA is seeking contractors who can supply medical biohazard disposal capabilities and 40 yard dumpsters to 1,000 tent hospitals across the United States; all required on 24-48 hour notice. Issued on January 10th, you can see the request here. The request comes on the heels of other requests that the medical supply industry has received recently. A request for 31,000,000 doses of pediatric flu vaccine from the CDC Solicitation notice can be seen here. FEMA also put out solicitation requests for: 100,000 each of winter shirts and pants and the same for summer. Interestingly only 10% of the items are to be in childrens sizes. From Tarps to manufactured pre-fabricated housing units, the requests for goods and services is a long one. Most of the requests and solicitations have an indefinite delivery date and an indefinite number of items to be supplied, such as this one for beverages. Scroll down to the revised draft solicitation at the bottom of the page for the specific requirements of the request. 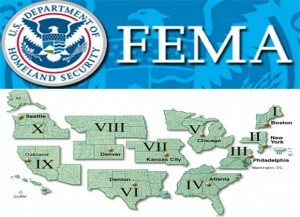 So what is FEMA preparing for? Tent hospitals were the only way the United States coped with the 1918-1920 pandemic as hospitals and medical centers were rapidly overwhelmed with the sick and the dying. Almost every week we are confronted by a new flu strain, or an emerging disease that could, in the right circumstances, threaten our way of life. Whatever it is they’re preparing for, those items that do have numbers attached to them indicate they are not ordering enough stuff to ensure the survival of the bulk of the population. The only way we are going to get through the trials and hardships that are coming our way is by being prepared. The government has proved time and time again they cannot deal with even a regional major incident effectively let alone a nationwide emergency. You only have to look at the aftermath of Katrina and Sandy to see that these people cannot protect you, they don’t have the organizational skills to do so. Just getting water to hurricane survivors was beyond them. They cited ‘logistical’ issues and bad weather. So, if a national disaster happens on a nice sunny day when there are enough truck drivers to move stuff around we could possibly expect them to perform better. That’s comforting. I prefer to take action on my own behalf and leave FEMA to ‘assist’ those who never had the foresight to prepare.